I miss my homeland. This has been a very good (albeit teary) week. As a Cubs fan I can’t even tell you how jealous I am that your team won. 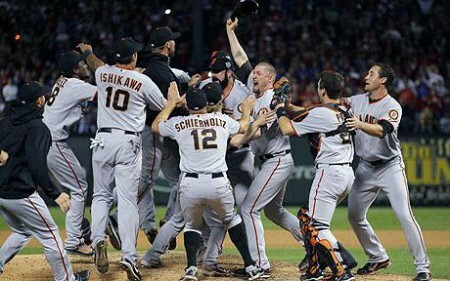 Baseball is my sport, so it’s sad I’ve been saddled with loving a franchise that is doomed. 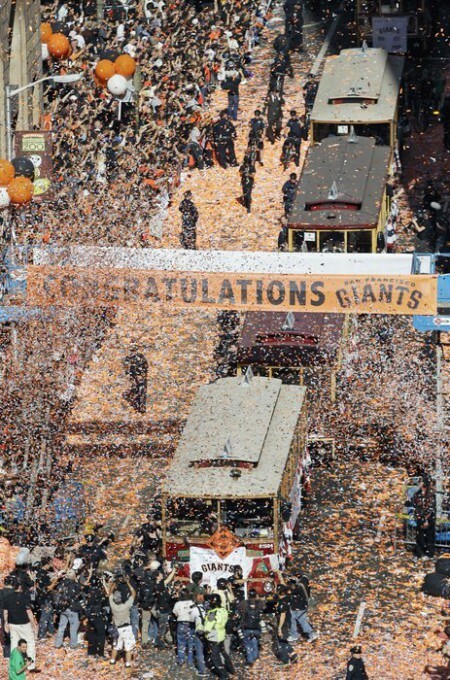 However, I really did enjoy the WS this year (judging by the numbers I was one of the few) and the Giants really showed up and deserved it. Also, Brian Wilson is a national treasure. Hope the shows are ridiculous this week. Still very bummed I don’t live near Denver, though I did pass along the show information to the one friend I have that lives in the area and told her she needed to go see The Head and the Heart. Good to have you back – had a heart attack when I checked the site this morning! Oh but if you really want to get nostalgic about SF you can’t forget Piazza New York Catcher (http://www.youtube.com/watch?v=0Ugnh4nZtwI) or the Decemberists’ Grace Cathedral Hill (http://www.youtube.com/watch?v=qEjgf6tMlZc). So many good songs about San Francisco, it just seems to generate amazingness.